I’ve already talked a bit about how much my kids love to read and how we are getting #Back2SchoolReady as summer comes to a close by starting a reading challenge. Well, they started the challenge and I think I underestimated the power of incentive. I’m having to remind them that there’s still chores to be done and other things that need to be accomplished besides reading, but I’m glad they’re so excited about this challenge. Last night made my mama’s heart sing, when I saw three of them lined up on the couch with a pile of books between them and the other two were curled up in the chairs. I love that they love books. While we have a small bookcase dedicated solely to children’s books, my kids are always ready and excited for something fresh. 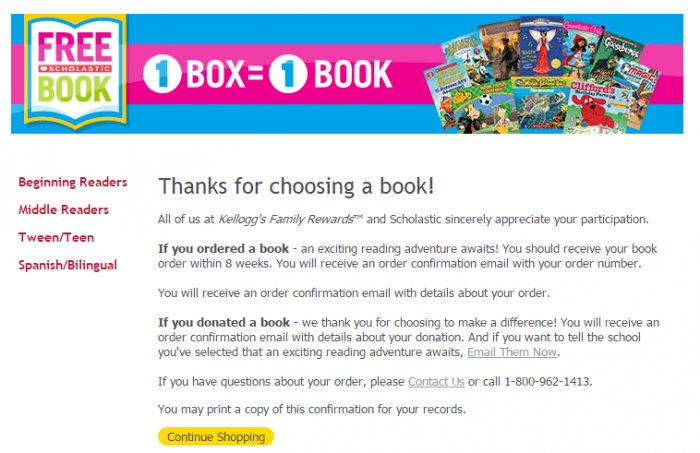 I recently learned that Kellogg’s is running a new promo where when you purchase specially marked Kellogg’s products at Walmart, you’ll earn a free book. I’m a tad bit giddy over this promo to be perfectly honest. We’re not only building our personal library, but once the new books arrive, they’ll be rewards (my kids love having books to call their own) for this reading challenge. Plus, I’m using some of the Kellogg’s products I bought as rewards for the books they are reading right now in our reading reward basket. 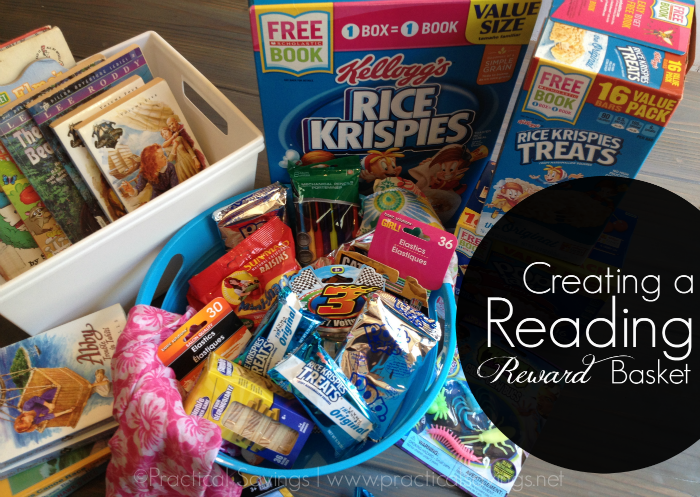 In the reading challenge post, I shared several ways to reward reading. 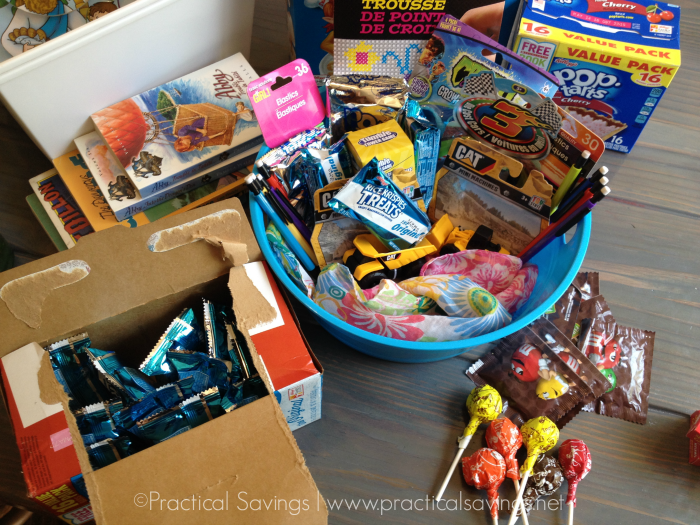 Since my children are 10, 9, 7, 5 and 2, I want to keep the motivation alive, so I decided I would make a reading reward basket that they can pick from whenever they complete a book. At the end of the challenge, they’ll earn a new book and a bigger prize like I mentioned in the reading challenge post, but for now, they’ll earn little things. Back-to-School – pick up pencils, pens, note books, note pads, crafts, stickers and other fun back-to-school items that they’ll be able to use. 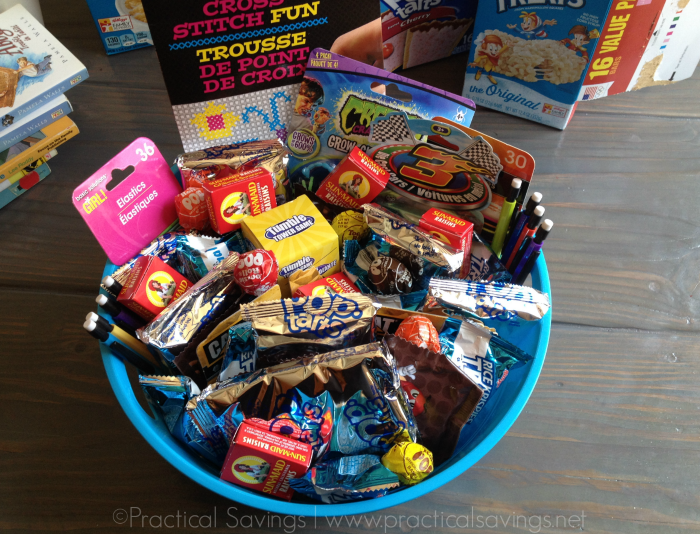 Movie Night – grab some theater box candy, popcorn, Kellogg’s Rice Krispies Treats, Kellogg’s Poptarts and other individually packaged goodies and maybe make your grand prize a movie rental. Needless to say, my kids love the reward basket. They started devouring books right away and I’ve had to explain more than once that no, a board book won’t count for the 9 and 10 year old since they can read much better than that. I’m glad, though, that they are excited about reading and earning rewards. I know they have their eyes on a few specific rewards. 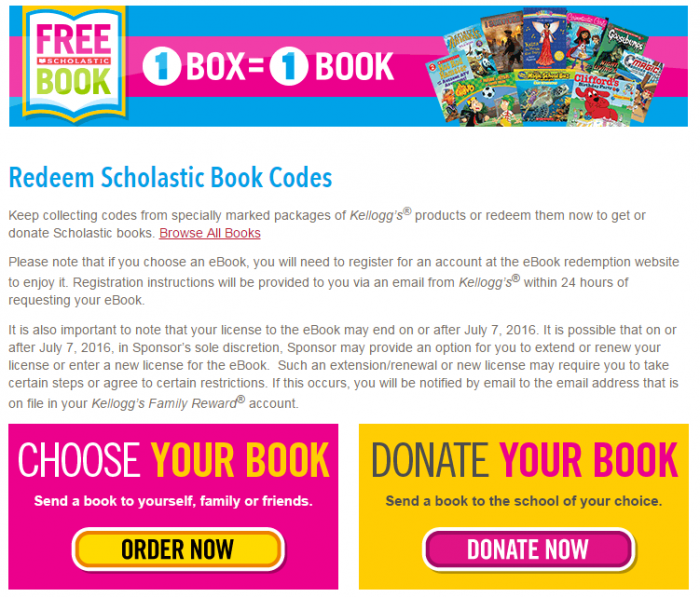 Buy directly on Walmart.com and receive a free book from purchases made between 7/21/15 and 9/11/15. 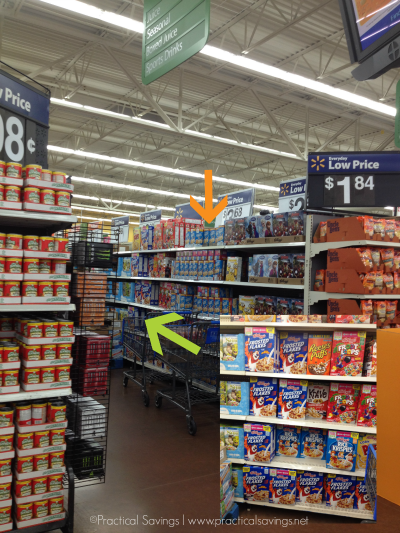 Look for the Buy Now button at www.walmart.com/KelloggsBackToSchoolBooks for a list of all eligible items. Ecommerce redemptions are made via receipt scanning. There are 3 ways you can upload your receipt, via text, via scanning into your computer or Kellogg’s Family Reward app- – only when you purchase ONLINE between 7/21 – 9/11. 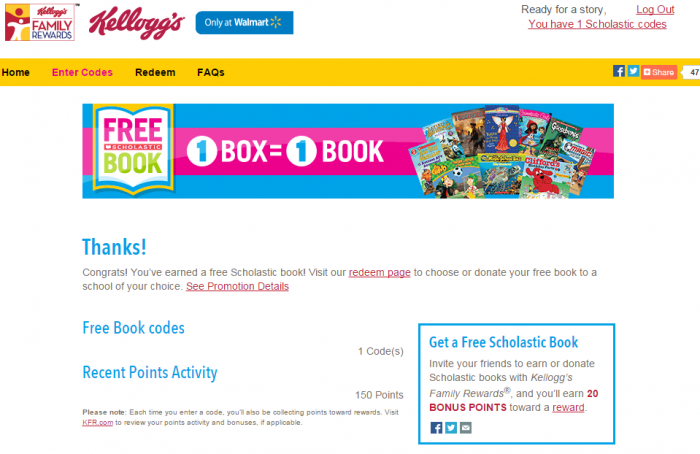 1 Kellogg’s product = 1 free, full-length Scholastic book, and each person can redeem up to 30 books. Don’t want the books? Donate them to your local library or school. Note: ebooks cannot be donated. Select the book or eBook you want and check out. Wait 6-8 weeks for your books to come. 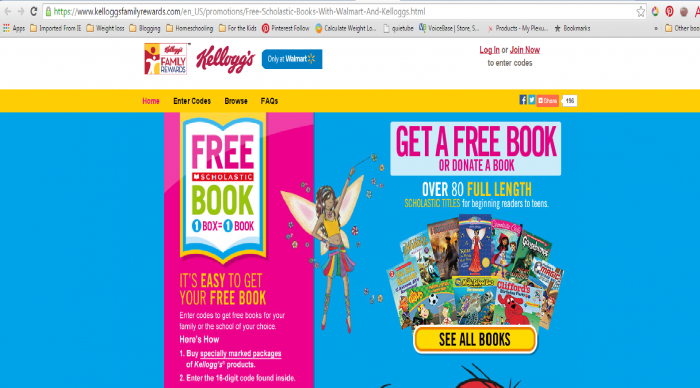 Be sure to check out more books available via this Kellogg’s offer at here. I’d love to hear your favorite book offered! 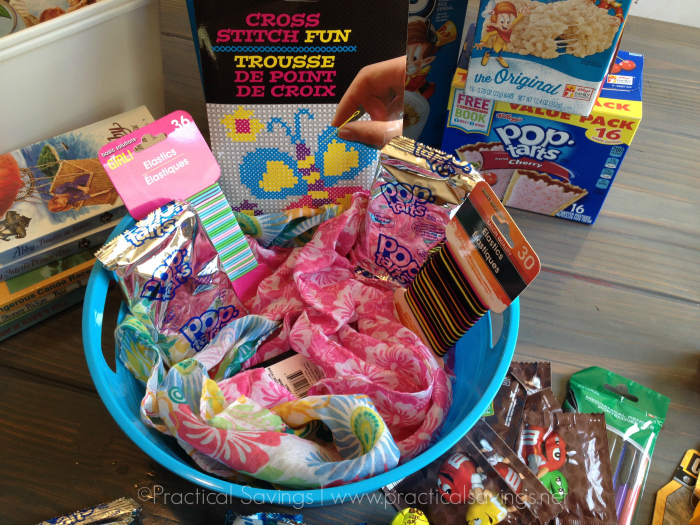 Tweet me or tag me on Instagram and be sure to use hashtag #Back2SchoolReady so Kellogg’s and I can find you! 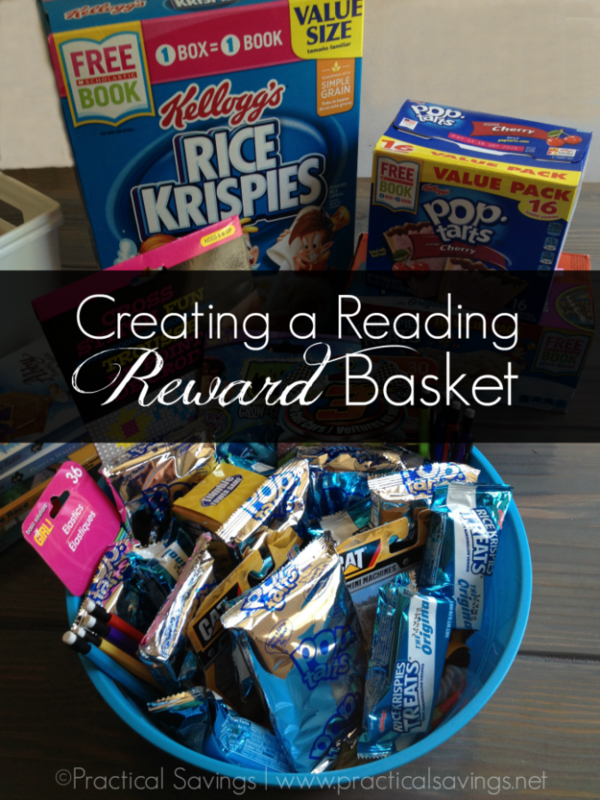 Also, tell me what your reading reward basket contains.